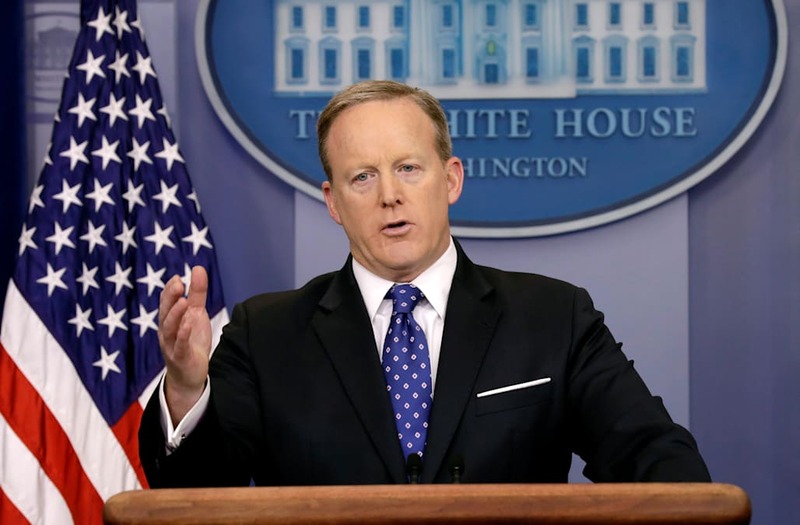 White House press secretary Sean Spicer is set to address reporters on Monday as President Trump meets Emirati Crown Prince Mohammed bin Zayed bin Sultan Al-Nahyan. Trump honored fallen police officers earlier on Monday, when he spoke at the National Peace Officers' Memorial Service at the Capitol. "I will make it the personal priority of my administration to ensure that police are finally treated fairly and with honor and respect that they deserve," Trump said during the ceremony. "Every drop of blood spilled from our heroes in blue is a wound inflicted upon the entire country."